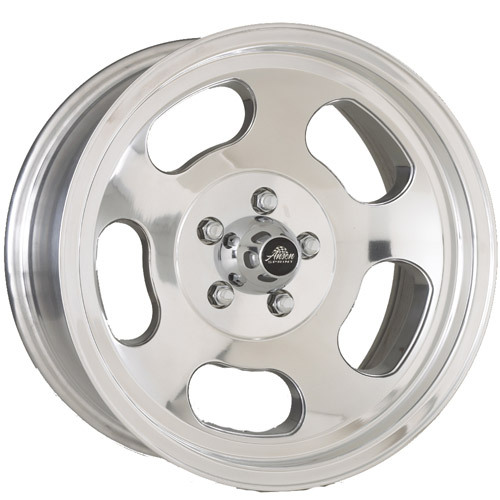 Has there a more versatile aftermarket wheel than the “slot mag” or kidney alloy wheel? I doubt it. 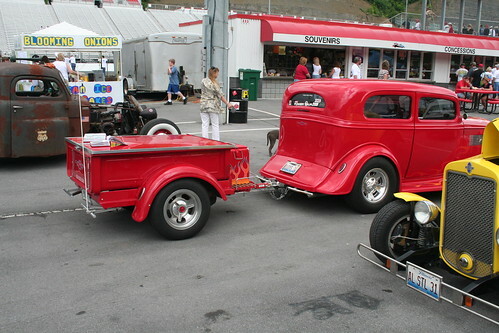 It looks good on vehicles ranging from ’32 Ford hot rods, to Opel GTs, to 70s custom vans! Popular both in Europe and North America. 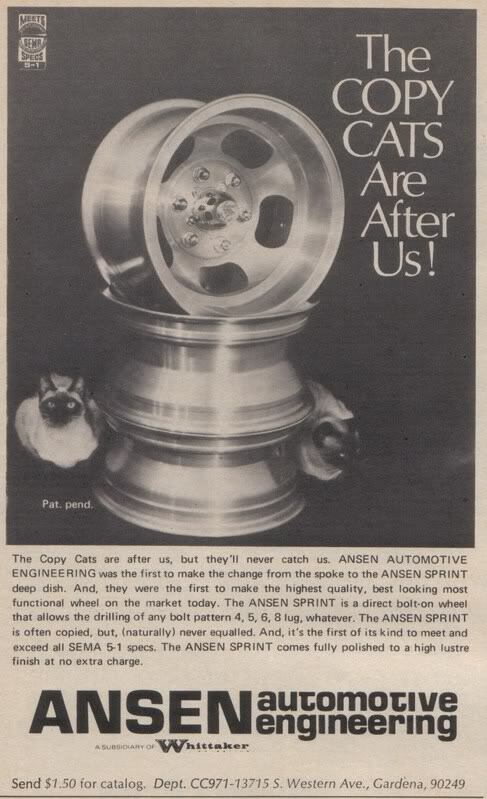 The history of this style of wheel begins with the Ansen Sprint in 1963 which featured the distinctive five slots cut into the wheel. 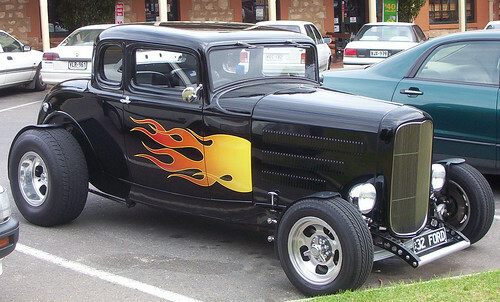 This design was quickly copied by other manufactures like American Racing Equipment, Fenton, Mickey Thompson, Cragar, Rader, etc with slight variation. 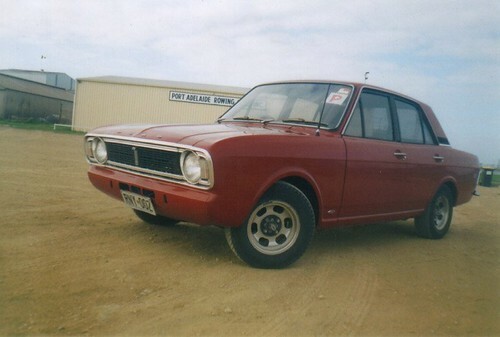 It quickly gained favour with drag racers and was available in huge withs. 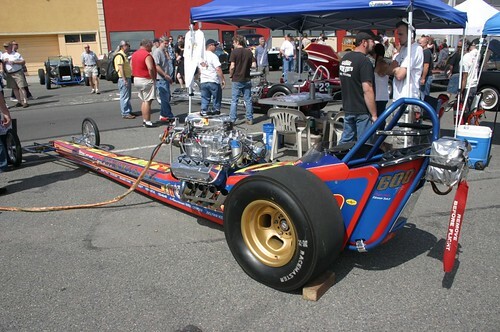 The typical dragster of the time had a huge slot mag style rim at the rear and skinny motorcycle style rims at the front. The American Racing Torq-Thrust and classic five spoke Cragar might have been more popular with the street crowd but the slot mag style was certainly very popular there too. The Mustang II of the late 70s even came with style of wheel optionally from the factory. Overseas in the UK Wolfrace used the same design to launch the company to great success. They seem to be the first to use the now generic Slot Mag name. 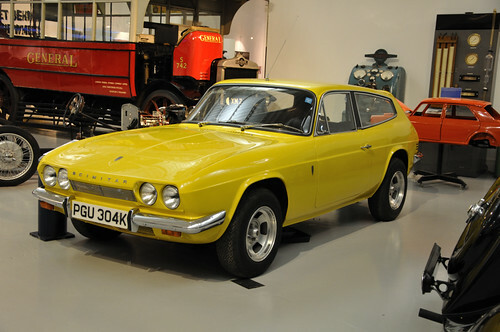 Reliant Scimitars (factory fit), VWs and a huge variety of Fords where soon sporting Wolfraces Slot Mags. If the Slot Mag was the wheel to have in the 60s US, then it same for the UK in the 70s. Wolfrace has even starting selling this iconic design again. 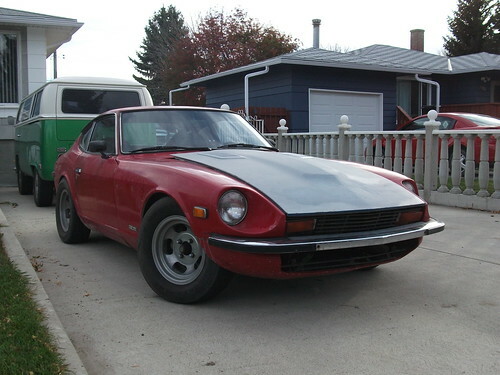 Japanese cars of the 70s are popular recipients as well. Datsuns where particularly popular to due having some of the ugliest stock hub caps even seen. I heard stories where Datsun dealers back in the 70s having brisk business in aftermarket wheels installed right on the showroom floor. 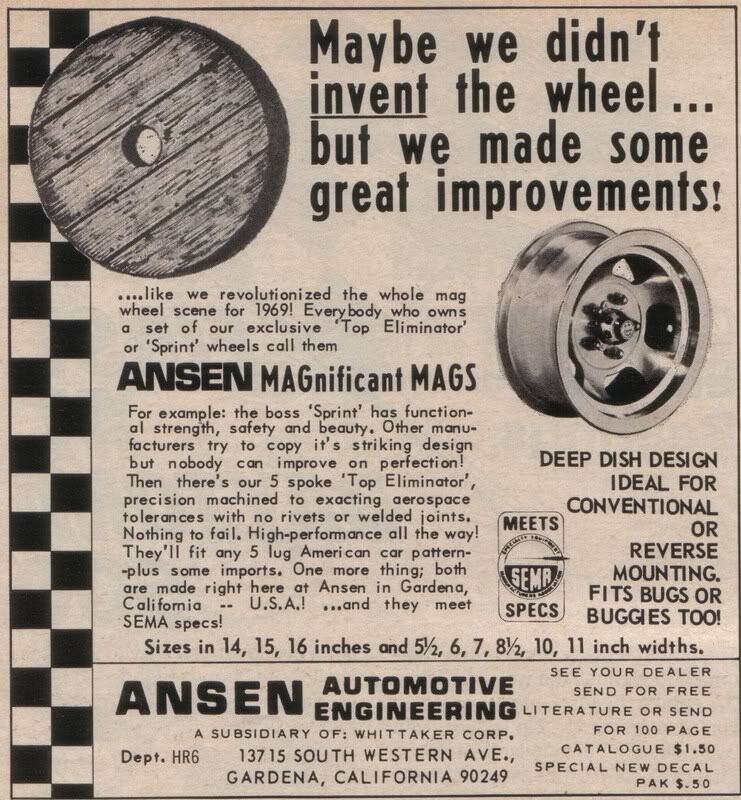 This entry was posted in Misc Rambling and tagged alloy, Ansen, Ansen Sprint, Cragar, Fenton, history, merican Racing Equipment, Mickey Thompson, Rader, Slot Mag, Sprint, Wheel, wolfrace. Bookmark the permalink.